I found myself on the hunt recently for some accounting software that can handle quotes, invoices, expenses… that kinda thing. The problem with most of these products is that they’re either completely overkill or else pretty expensive. 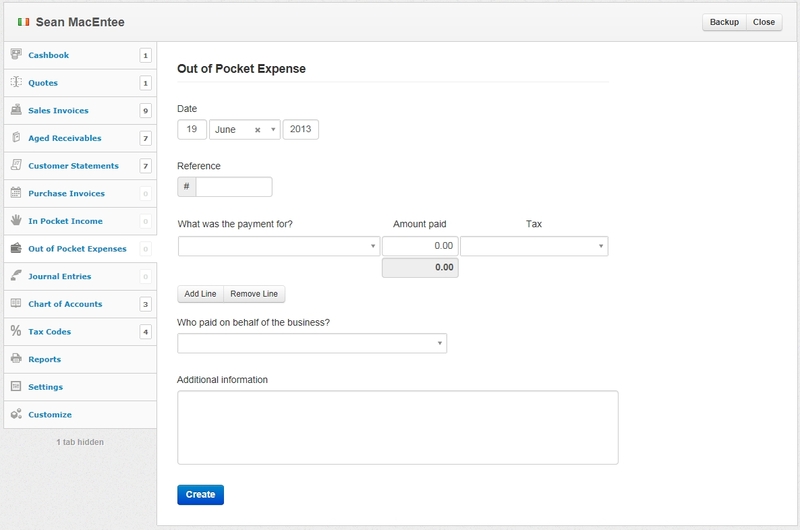 If you just want to organise stuff (business or personal) in a more sophisticated fashion than dumping it all in to files and folders or one big excel sheet, you’re kinda stuck… you don’t want to be paying €100+/year, yet you realise the value dedicated accounting software could bring… the solution? 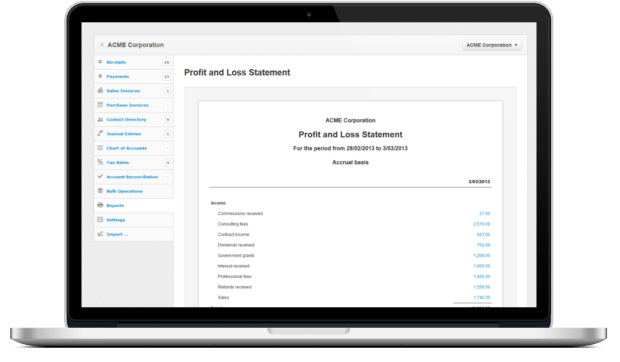 Manager.io – free accounting software that works beautifully. A lot of these companies offering accounting software (i’m looking at you, Freshbooks) are NOT upfront with costs. They hide the pricing plans in a bid to get you using the trial versions first. Dirty tactics. No matter how much value something brings to me, nobody has an infinite amount of money to spend acquiring it. Pricing should be clear and up front and easily found on the homepage of any product. A free trial to me is something i’ll only take up if i have the money to spend on the product – i won’t bother using free trials if i know i can’t afford the product and if i have to go looking for the prices of a product, then that just annoys me and tells me the product is probably expensive. Manager.io is completely free. It’s desktop software synced to the cloud, meaning you need to install it on your computer but you can potentially access your data from any computer (so long as you install the software). There is a standalone version but it costs $89 (one off fee). If you want mobile access, you can get it but it too comes at a cost ($19/year). Keeping track of quotes is important, particularly if you’re doing it regularly enough to lose track of them all. 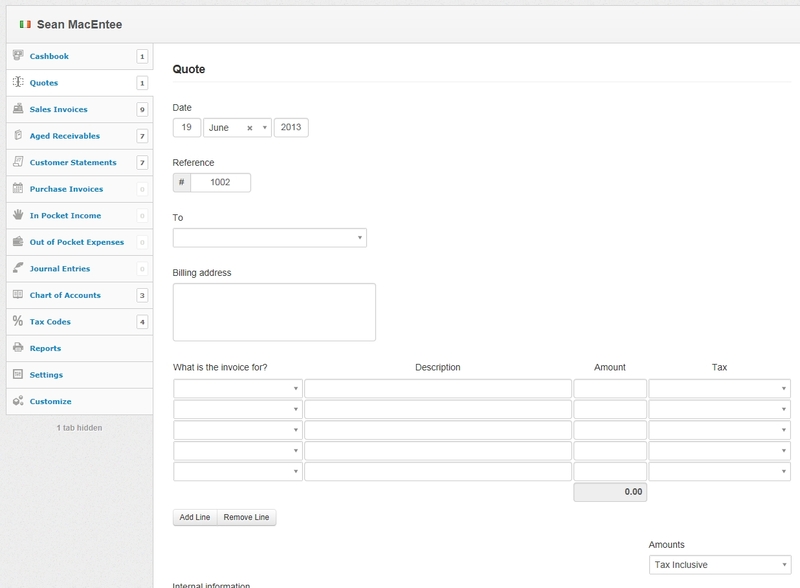 Using software like Manager.io, quote numbers will auto-increment every time you create one, plus you can turn a quote in to an invoice with the click of a button. If you want you can add a list of clients, products and making quotes is as simple as selecting items from dropdown lists and clicking a button. 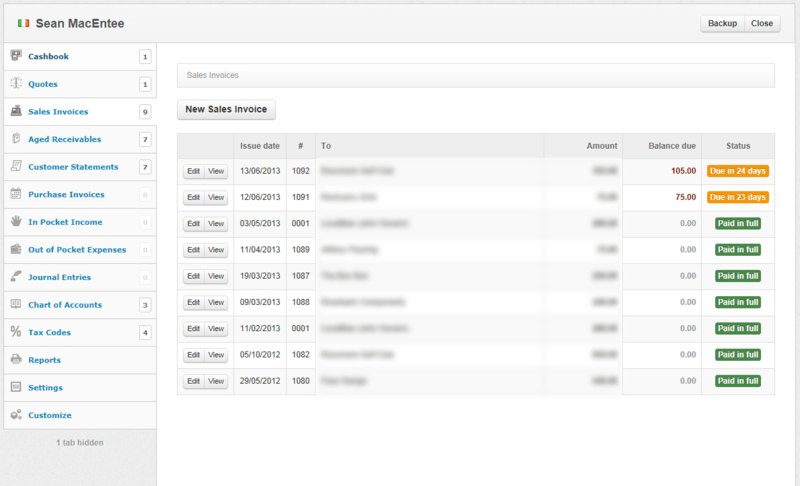 You can view all sales invoices in a dashboard which will sort the invoices by due date. 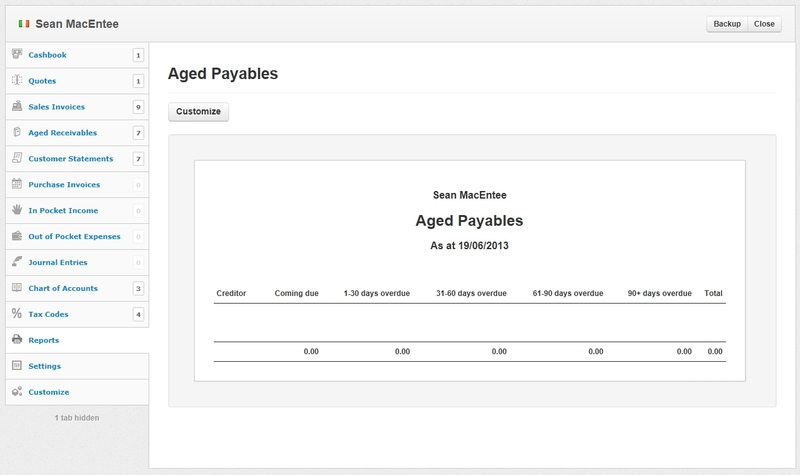 Similarly, with purchase invoices, you can see at a glance what you owe and when it’s due. Balance sheet, profit & loss, aged receivables, payables…. all that boring stuff can be generated with a button click. No need to worry about getting debits and credits mixed up or wondering why something isn’t balancing. You can bank on those little army of 1’s and zero’s to carry out the job for you to perfection… all you gotta do is issue the command. I hate software or applications that don’t do what you expect them to do. Bank of Ireland’s business banking is a great example – let me see my money and move it about – that’s all i want to do… a simple, intuitive interface is a bonus. 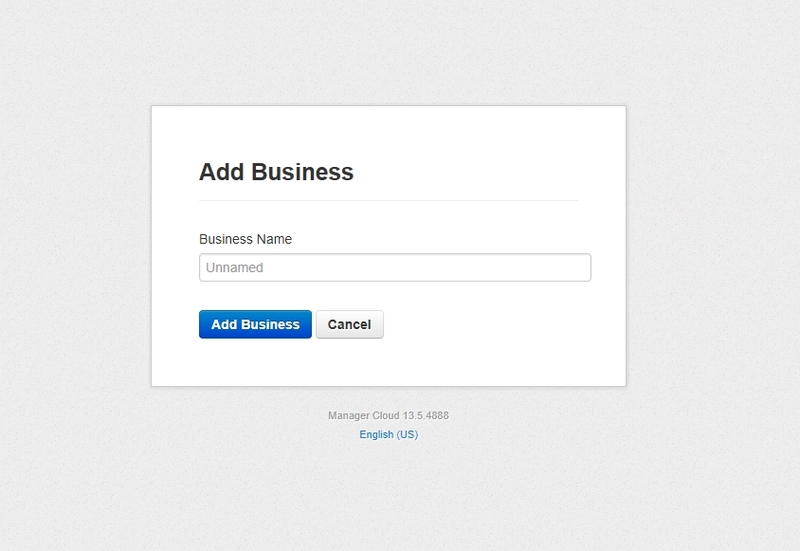 Manager.io have got the interface & workflow bang on the money here. There’s always going to be *some* learning curve but after you create a few invoices and clients, you’ll understand how everything works. No instruction manual required.